Discussion in 'Electric Instruments' started by vashondan, Mar 7, 2016. I'm getting my Vela on Wednesday and realized that I forgot to order a case. Went to Sweetwater and was going to order the generic case for a double cut electric then wondered if there was anything about the shape of the guitar that was different enough to make it not work. If you have a Vela and bought a case what did you get? 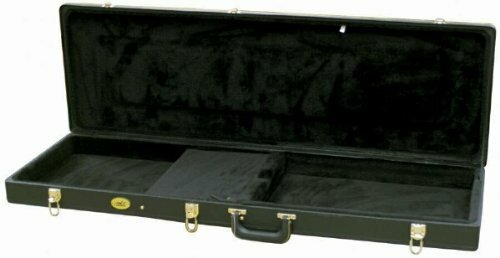 I've not seen a prs hard case for any of the s2 models. I only have a hard shell for my Paul's guitar, my others only have gig bags. But I did try and see how the Vela would fit, and as I suspected, it will not. The asymmetrical body with the longer than usual upper bout prevent it from lying flat in that case. In fact, even my SE finds it a tight fit. There is a slight variation in body size, apparently. But then, I would not try taking my SE in that Paisley case. I'm sure I would get some strange looks when it got pulled out in front of anyone familiar with PRSi. My new S2 fits into a PRS hard case just fine, but I am using the SKB one as I like that it has wheels built into it so I can tow it. I have a gator hard case for my S2 singlecut, fits perfect. Hey Dan, are you on Vashon Island? ...it did fit pretty well in it though! Thanks. Looks a lot like the one I got for the SE so I'm thinking it'll work fine. Well, I grew up in West Seattle a block up from the Fauntleroy Vashon ferry dock. I am in Auburn now, but work near the Renton Boeing plant. If you are out this way during the day, you are more than welcome to see if your Vela fits the PRS hardshell case. I have about three extra, and have already got rid of two for my son's guitars. If it fits, I could give you a heck of a deal. So I'm sure you know Vashon well then. Got the Vela today and tried it in the generic I bought for the SE and it fits nicely. I think for now its going to live in that generic, the se is going in one of my strat cases and the MIM strat will live it a gig bag. I'm not going to buy anything right now after this purchase which was all impulse but when I do I'll take you up on one of those cases if you still have them. Sounds good Dan, glad you found something that works. I should have the cases in the future. Heck, I have at least six SE gig bags too. PS, yes, been to Vashon Island many times. Use to ride my bike onto the ferry too when I was young. Ideally, i'd like one of the SKB 3i cases, but i want a snug fit. I would ask the rep at Sweetwater to have it tried out for a fit before buying. They should be able to do that for you. That should be part of their job. Otherwise, why would you need a rep? Oh, good point! I'll see what they say and let you guys know. I asked the rep to try it out for me and he insisted that the Vela wouldn't work in that case. He suggested the 3i open cavity case, but i feel like there's going to be a decent amount of wiggle room. Any other suggestions for a quality hard shell with a snug fit?